Ultraviolet film storage service to shut on 31st July | What Hi-Fi? Ultraviolet, one of the biggest cloud storage film services is to close this year. An announcement on Ultraviolet's website cites the "expanded options for content collection" as well as "other market factors" in its explanation for the closure. Naturally, the rise in popularity of streaming services such as Amazon Prime Video and Netflix will be seen as a key factor, as fewer people choose to own media. Ultraviolet allows people to access all their bought TV and movie content in one place, regardless of the service or retailer where the content was purchased. It was popular in the US and UK, especially with custom installers working with high-end cinema systems. For the 30 million existing users, the company is rightly aiming to ensure this paid-for content remains available to consumers: "In most cases, your movies and TV shows will be available via the retailers linked to your UltraViolet Library at the time of UltraViolet shutdown. "In most cases, we anticipate very little impact, particularly in the United States. Most, and perhaps all, existing rights in UltraViolet Libraries currently available through your linked retailers that are still operating should continue to be available from those retailers." Yes, we'd be worried slightly by the "most cases", too. The news leaves Disney's Movies Anywhere as the major cloud-based digital locker, despite only ever being available in the US. Movies Anywhere has content from Disney, Pixar and Marvel, and works with content from iTunes, Amazon Video, Google Play and more. But with the Disney+ streaming service set to launch later this year, it's clear the focus is moving towards streaming from ownership. 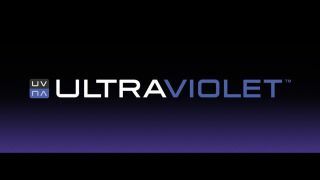 Ultraviolet users can find out more information in the announcement on the company's website. Amazon Prime Video vs Netflix: which is better?